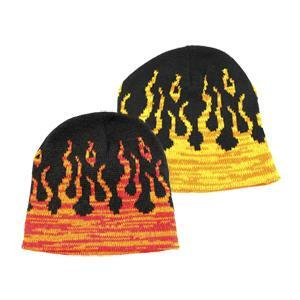 Flame pattern beanie made from 100% acrylic. Comes with Red or Orange flames. Made in the USA.